How To Buy Wine Online - It's Not As Hard As You Think! Buying wine the easy way. Tips and tricks on how to buy wine online. Let’s face it, online shopping has become a huge part of our lives. And while buying from Amazon has become the norm, you may still be hesitant about shifting your wine buying online – after all, this is precious cargo we’re talking about here! But buying wine online doesn’t have to be intimidating. It can; however, take some work and has some caveats. Here are some tips and tricks that should help you begin the process painlessly. First, direct to consumer (DTC) wine shipments are a big deal. Shipments from wineries alone totaled $2 billion in sales in 2015. Add in sales from retailers that are shipped to customers and you’ve got multiple billions of dollars of sales, growing at a much faster rate than sales made at brick & mortar wine stores. So how do you join in on this revolution? Make sure you’re in a state where you can receive wine shipments through the mail! For most states this is an all or nothing proposition, but there are a few states that will allow intrastate shipments but not shipments from other states, or even where the rules are different by region within a state. The Wine Institute has lots of helpful information here. Luckily the list of states that allow wine shipments continues to grow. With longtime holdout Pennsylvania now joining the revolution the count of states that allow at least some form of shipments (usually those direct from a winery but not necessarily retailers) is up to 44, covering about 90% of the U.S. population. Make sure someone will be home to sign for your shipment! You’re willing to try lots of different types of wine and are just trying to find the best deals. You know the wine you want and just want to find the best price. Let’s discuss the best strategies for each group. In this case, you’re not so much concerned with the varietal or the vintage, you’re just trying to score some great wine at a great price. If this is you then you’ll definitely want to check out the “flash” wine sites as well as wine clubs like Naked Wines. With the “flash” sites it may take a bit of waiting to find the right deal, but these sites typically buy large amounts of a given wine at special pricing passing on at least a portion of that discount to you. Wine clubs like NakedWines.com, on the other hand, specialize in proprietary wines from all over the world. 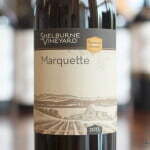 By cutting out the middleman they are able to offer these wines at reduced prices. It’s a great way to explore and learn about varieties and regions. 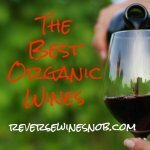 Check out our Complete Guide to NakedWines.com or use this affiliate link for $100 in free wine to find out more. One note of caution: shipping cost can be killer. To the extent you can, take advantage of large quantity buys to lower the shipping cost per bottle – or better yet buy during promotional free shipping periods some sites offer. And be sure to watch Reverse Wine Snob for exclusive free shipping deals from our advertisers. NEW! 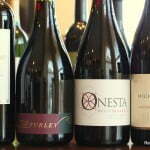 Limited time, highly discounted, winery direct offers on our highest rated wines! Powered by the team behind Wine.Woot. Cheap shipping too! In this case, you can get a lot more specific with your search. 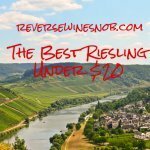 Wine-Searcher.com is a great resource for finding the lowest price online sellers (as well as local retailers). Most of our reviews here on the site include a link to the Wine-Searcher results page to make this super easy. These links are generally located just above our ratings box near the end of each review. Beyond this, probably the best advice I can give to the “Know What You Want” group is simply to go direct to the winery when you can. While the opportunities to do this are limited, many wineries have member clubs that gain you special privileges. For example, wineries like Andrew Murray Vineyard or Bonny Doon Vineyard offer clubs that give deep discounts on wine as well as other perks like free shipping on some orders. Perhaps the best part about going direct; however, is that you know you are supporting a winery you love. The wineries themselves make more money on these orders, so you’re helping to ensure they prosper and make more of their delicious vino! Temperature — Heat is wine’s worst enemy. You’ll want to avoid having wine shipped when the temps are over 80 degrees. And remember, it’s not just your temperature that’s important but also the areas where your wine will travel. One helpful hint is that if you have the tracking info Fedex and UPS will both hold packages for you at their (air conditioned) locations so you can avoid wine sitting on hot delivery trucks all day. Fedex will also hold your package for pickup at any Print and Ship offices at no charge. If you sign up for their delivery manager service you can easily see any package coming to your residence and change the delivery location before the first attempt is even made (without even having the tracking number). UPS has something similar with their MyChoice service. Having the wine held for pickup is also great if you’re at work all day and not home to sign for it. Buy from a reputable source – The last thing you want to worry about is paying for damaged shipments. Check out consumer reviews before you buy to make sure your chosen retailer is legit. Saving a couple dollars isn’t worth it if the store doesn’t stand behind their product. We hope our article on How To Buy Wine Online has been helpful. Happy shopping! You may also want to read my article on “Where To Find The Wine I Recommend In 5 Easy Steps Or Less“.